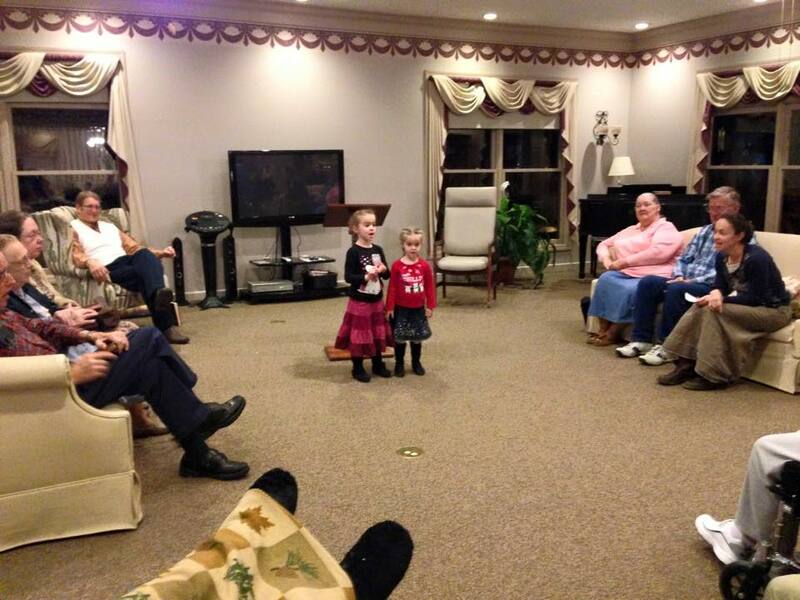 Every Monday night a ministry team from our church holds a service for the residents at Loogootee Nursing Center. The residents who attend really appreciate the opportunity to join together in a time of worship and fellowship. Two adorable girls singing for the nursing home residents.